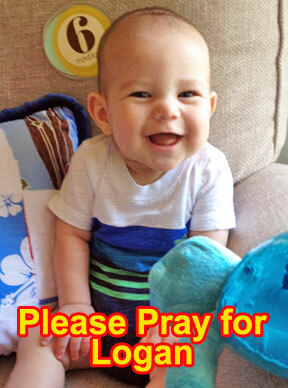 Please pray for baby Logan (dob 11/26/13). He was born with spina bifida which literally means “split spine.” It occurs when a baby is in the womb and the spinal column does not fully close. At 8am on July 29 in Oakland, CA. Logan will undergo a complicated and delicate 6-8 hour surgery to disconnect a tangle of nerves and tissue at the base of his spine. Thereʻs great power in prayer and forming a prayer circle for Logan and having everyone keep Logan in their daily prayers would be very powerful. Kahu Silva looks forward to performing the Hawaiian baby blessing ceremony (ho`ola`a) for Logan when heʻs fully recovered. Mahalo a nui loa for everyone’s thoughts, prayers, kind support and aloha!